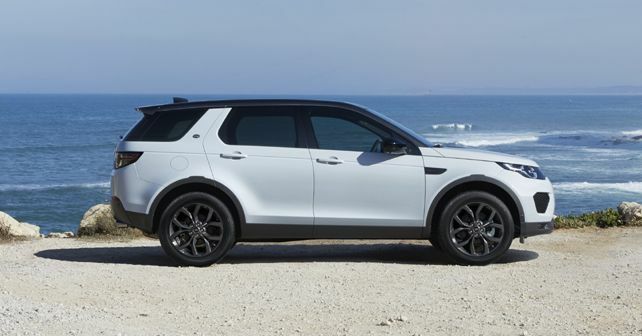 The 2019 Discovery Sport Landmark Edition gets distinctive styling and a few feature upgrades. Jaguar Land Rover (JLR) India has kicked off its proceedings for 2019 with the launch of the Discovery Sport Landmark Edition, priced at ₹ 53.77 lakh (ex-showroom). This limited-edition version will be exclusively available in three colour choices: Narvik Black, Yulong White and Corris Grey. All three colour options will be offered with Carpathian Grey contrast roof. Other visual changes on the Landmark Edition include a revised front bumper with larger air intakes, Graphite Atlas front grille & fender vents along with bespoke 19-inch ‘Style 521’ split-spoke alloy wheels finished in Gloss Dark Grey. Besides the visual changes outside, the Landmark Edition also features a few changes in the interior like the seats finished in Ebony-grained leather, further complimented by a satin-brushed dark aluminium trim finisher around the centre console. In terms of convenience features, the Landmark Edition gets a panoramic roof and front and rear parking aids as standard. In India, the Discovery Sport Landmark Edition has been launched in a single variant, which is powered by the 2-litre Ingenium TD4 diesel motor. The powertrain develops 177bhp, 430Nm of torque and is mated to a 9-speed automatic transmission, which propels the Discovery Sport at a top speed of 188km/h.